Beirut, October 3, 2018 - Kenya’s Wesley Korir will be the star attraction among a loaded men’s field at the 16th edition of the BLOM BANK Beirut Marathon on November 11, an IAAF Silver Label Road Race. Korir, a winner of the Boston Marathon in 2012, has not raced since April 2017 but after taking time out from his political career in Kenya, the 35-year-old is planning to get back to winning ways at next month’s race in the Lebanese capital. To succeed at the BLOM BANK Beirut Marathon, he will have to be near his best. As a previous winner at the Boston and Los Angeles Marathons and a runner-up in Chicago, Korir may be the most accomplished athlete in the field, but he’s not the fastest. 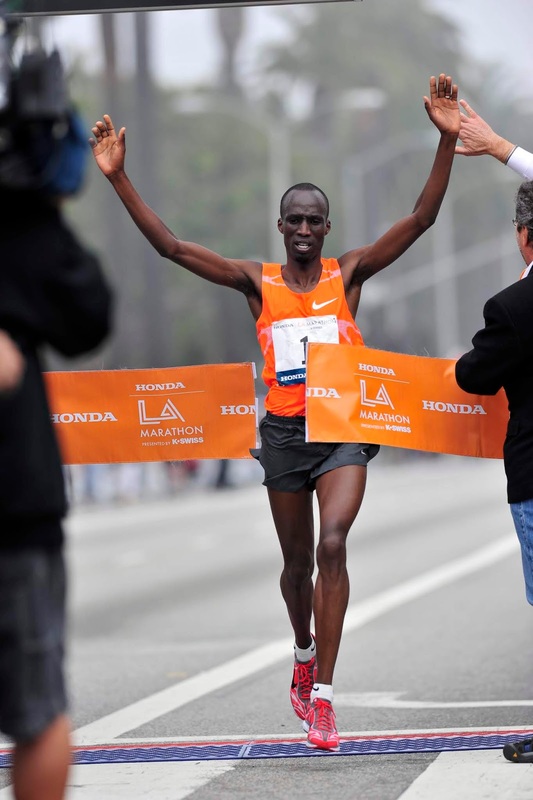 His personal best of 2:06:13 dates back to October 2012 at the Chicago Marathon, but in Beirut next month he will take on Ethiopia’s Bazu Worku, who has a best of 2:05:25 and was a winner at the Houston Marathon earlier this year. Worku ran a world U20 marathon record to finish runner-up in the Paris Marathon in 2009 and since then he has been prolific on the roads, netting podium finishes at the Berlin Marathon, Istanbul Marathon and Prague Marathon. His win at the Houston Marathon earlier this year was his third triumph in the race, the 28-year-old clocking 2:08:30 to come home more than 30 seconds clear of compatriot Yitahal Atnafu. Kenyans Ezekial Omullo and Andrew Ben Kimutai, who have both run below 2:09, are also sure to feature in this year’s race. Omullo is a three-time winner of the Warsaw Marathon, his most dominant win coming in 2016 when he set his current PB of 2:08:55, while in April this year he cruised to victory at the same race in 2:11:17. Kimutai is also a formidable performer, the 29-year-old finishing third at the Seville Marathon earlier this year where he set his current PB of 2:08:32. In a truly international field, there will also be a duo of exciting prospects in Uganda’s Felix Chemonges and Morocco’s Mohamed Ahmami, who bring impressive pedigree at the shorter distances. Chemonges, 22, finished 26th at the IAAF World Half Marathon Championships in Valencia back in March before lowering his PB to 61:46 in Verbania, Italy, in April. Ahmami will carry the hopes of Morocco and the 34-year-old looks to have the calibre to make a big impact, entering with a half marathon PB of 61:17 which he ran to finish fourth at the Marrakech Half Marathon in January. An interesting debutant at the distance is Kenya’s Kalipus Lomwai, who was a pacemaker at the race last year but carries a classy half marathon personal best of 61:22, which he ran to win the Hamburg Half Marathon in July. Others of note include Bahrain’s Benson Seurei, who brings the best track pedigree to this test of endurance, the 34-year-old boasting an 800m personal best of 1:45.67. Since moving to the marathon, he has proved himself a capable performer, finishing seventh in Barcelona earlier this year in 2:11:27. With a first prize of US $15,000 on offer, this year’s men’s race is sure to be a hotly-contested edition of the BLOM BANK Beirut Marathon, which will wind its way around a scenic 42.195km course alongside the city’s Mediterranean coast. 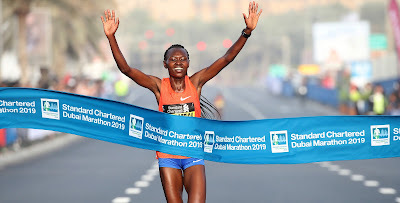 In addition to the prize money athletes will also compete for time bonuses, with an additional US $10,000 on offer for breaking 2:07, US $7,000 for breaking 2:07:30, US $5,000 for breaking 2:08:30 or US $2,500 for breaking 2:09:00, while there will also be US $3,000 available for breaking the course record of 2:10:42. There will also be substantial prize money and time bonuses available for the first Lebanese finishers, the leading para athletes and the fastest athletes in the half marathons, which will also take place on November 11. This year’s race will also incorporate the 50th World Military Marathon Championship, which will feature 98 runners from almost 20 countries. The BLOM BANK Beirut Marathon will also be the first leg of the Asia Premier Marathons, which is now in its second season. All races will start at the picturesque Beirut Waterfront on General Wissam El Hassan Avenue and cross two parallel finish lines at the historic Martyrs’ Square in downtown Beirut.